Han-wei graduated from Princeton in 2011 with a degree in Politics and certificates in Applications of Computing and Music Performance. He spends his working hours hacking away in the field of computer security; a field that is sometimes very rewarding, sometimes very futile, but always very fascinating. He spends his non working hours playing the cello and buying many, many books. Some of which he reads. I’ve struggled my whole life with pride. Sometimes it manifests itself outwardly in the way I treat others (like that time I decided to mute a conference call, turn on the speakerphone for the benefit of my colleague, and make a few choice remarks on the exquisitely boring qualities of the person leading the call. Pro tip – when the speakerphone turns on, the mute turns off). But most of the time pride slips its way in through my thought life. I find myself cruising along well-trodden paths of thought, reinforcing narratives about my life that are tailor-made to fend off my greatest insecurities. I repeat these narratives often to myself, as a rosary of self-defense and self-worship. Part of what it means to be prideful is to build ourselves false narratives that cut God out of the picture. We try our best to forget God. The old testament is full of stories about the Israelites forgetting God and then sinning as a result (Judges 3:7, Judges 8:34, Hosea 8:14). From a sinful human perspective this makes sense: why think about how you are not in control? Why remind yourself that there will be judgement, and that the true story of our life, not the narrative we’ve created for ourselves, will be told that day? If it is in our sinful natures to forget God, what can we do to remember? How can I build patterns into my life that require us to dwell on who God is and what he has done? I think one way to do this is to take yourself out of the race long enough to slow down and remember. To get away from everything, including those things which feed your pride. Doing this forces you to spend time in reflection. There are many ways to “take yourself out.” John Piper stepped down from his church for 6 months to deal with issues of pride (highly recommend reading that link by the way). I think another way is through planned times of extended reflection. Our company recently had one of these times, and I’d like to share what it was like. 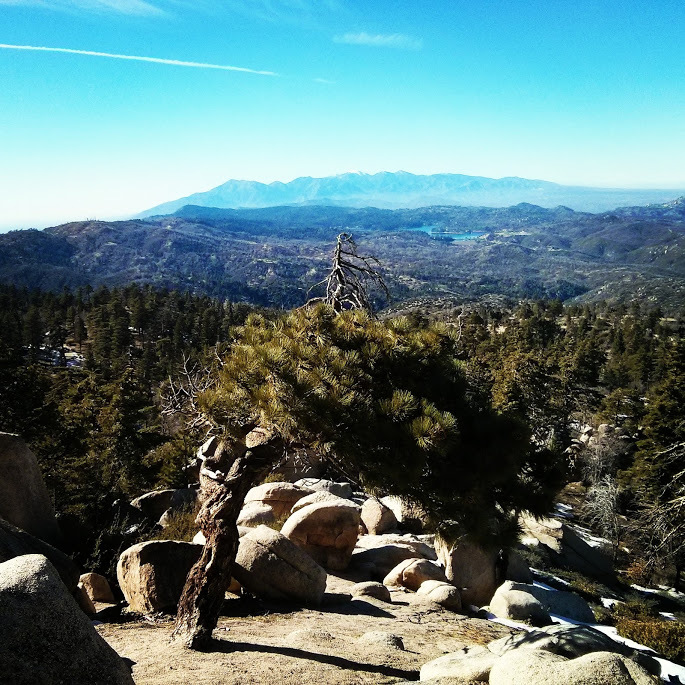 I got a taste of what that feels like “take myself out of the loop” earlier this year, when our small team of four squeezed into my suburban and drove up to Big Bear Mountain for our first company retreat. We had been working together for about a year and felt that it was time for some deep reflection and strategemagizing. We were going to be in the mountains for four days, so we brought plenty of beer, food, some more beer, and some extra beer just in case we ran out of the other beer. Four days is a long time to be out of the loop. Especially when you’re running a business, and especially in the world of startups. Most startups don’t have time for retreats. Or for disconnecting themselves from their email. Which makes sense, since these things are pretty much antithetical to making money. I can relate to the prevailing urge to “always be moving, reflect later” (which of course never leaves time for reflecting). Taking yourself out of the picture, even for a little while, seems to carry a great cost. But I’d argue the alternative is even more costly and dangerous (more on that below). Yep, that’s us. Deep in serious reflecting mode. During the last year, we’ve started forming the beginnings of a process for how we reflect together as a company. Our process focuses on the creation of a simple document we very creatively call “Lessons Learned.” It’s a list of the most crucial events that have taken place since the last time we reflected (in this case, 6 months). For each event we write down a brief description of the facts, and then a list of the takeaways. There’s nothing inherently spiritual in this process. But I would argue that there is a distinct spiritual consequence to what we are doing. Ultimately, these documents are a testament to how little of the time we’ve been in control. If we’re honest, the most important things that happened were not initiated by us – the extent of our “control” was our reaction to whatever happened, and even that’s a stretch. While it helps the business to have a powerful story, I always get the feeling that it’s not quite the truth: you end up taking more credit for things than you deserve. You start to think that you had it planned this way all along, and that you succeeded because of your own merit. This is especially true if you end up being successful. You begin believe in your own myth. I’m thinking specifically here of Zappo’s founder Tony Hsieh and the truly frightening story of his $350 million project to build a utopian startup city that ended in the suicide of several of the community’s entrepreneurs. The project had it’s roots in the narrative Hsieh had built up about Zappos, and it’s drive to “deliver happiness.” To an outsider the phrase seems a bit cliche, but I imagine for Hsieh, repeating the phrase over and over again during meetings and conference presentations, and watching his company’s valuation skyrocket into the billions, a connection was made and a powerful narrative was formed. Reflection is hard though. We shy away from honest reflection because it can be incredibly subversive – even dangerous – for the human ego. Reflection makes it difficult to lace our narratives with prideful illusions. It is humbling. For most people, this process of humiliation is unacceptable. But I often forget that humble reflection can also be filled with hope. We experienced that in our company’s own process of reflection. While we were made painfully aware of our own lack of control, we also uncovered a startling truth: God has definitely been taking care of us through these last six months. When you muster up the courage to let go control, that’s definitely good news. I think Jesus’s repeated decision to withdraw into the wilderness to be alone in part had something to do with reflection. We know that Satan tempted his pride when he was in the wilderness. Perhaps there is something inherent to nature that leads us to face our pride. Maybe it’s that nature has the same humbling effect as reflection: it forces you to face your own lack of control. The world is huge, and we are small and when you look out from a high place, you realize this. Pride often manifests itself as the intentional forgetting of God, and by extension, forgetting the message of the the Gospel. On the other hand, reflection and remembrance remind us of God, who he is, and what he has done for us. Remembering gives our souls time to ask God “why?” rather than leaving us scrambling to come up with our ego-centric narratives. Remembering protects us from our pride and forces us to come face-to-face with our own weakness and brokenness, and ultimately it points us to the Cross. My most recent post on technology discussed what it might mean for a Christian working in cyber security to commit to helping those who are weak and oppressed. In it, I attempted to draw a picture of the weak and oppressed in this field: they are those who are unable either to communicate without being spied upon, or to protect their information and data. I also argued that working in the field of security does not mean that you are helping the weak and oppressed, just as its true that simply by working as a doctor does not guarantee that you are practicing a healing form of medicine. In the case of security, the injustice in the field stems from the fact that security technologies can be used either to help people find their voice, or it can be used to oppress it with even greater efficiency than ever before. Towards the end of the post, I briefly mentioned that this notion of helping the weak and oppressed can be hard to do in practice, because usually money or success – or both – is often on the line. This idea – that in the business of security, a righteous decision to help those who are oppressed is often in direct conflict with profit or worldly success – is at its heart an issue of business ethics, and so I want to expand a bit on business ethics in the technology sphere in this post. Developing an ethic around technology is elusive, partly because it’s so difficult to understand or foresee the implications of technology once it’s out of your hands. Most technologists would argue that this simply isn’t their problem: leave the ethical questions to the philosophers. So, rather than struggle with these issues, a task which, to be fair, requires as much philosophy as it does technical knowledge, the approach for virtually the entire post-Industrial period has been “shoot first, ask the ethical questions later.” But that’s starting to change: those in the technology sphere are finally realizing that the pursuit and promotion of technology simply for its own sake can indeed be a great good, but also a great evil, and that an ethic of sorts to govern technology is needed. An interesting take on business ethics, and in particular on business ethics as it pertains to technology, comes from Google’s well-known slogan: “don’t be evil.” Despite the flak that Google and the rest of the tech industry has taken about invasions of privacy during the past few years, if you think about it, it’s not a terrible slogan: much to its credit, it directly addresses a central element of ethics in technology, which is that technical innovators are often faced with a dilemma about the dual uses of their technology and quite regularly have to make what amounts to a moral decision (I’m thinking here of the obvious examples: nuclear technology, some of the interesting consequences of 3-D printing, and even controversies over Google Glass, but surely there are others as well). “Don’t be evil” seems to suggest that intentionality is the key to these ethical dilemmas: don’t intentionally create something for evil purposes. But there’s a problem with this approach: who’s definition of evil are we going with? There’s a sense in which such evilness should be blatantly obvious and apparent on first blush. But what about business choices which are cowardly, or deceptive, or unwise, but are not evil? Is there a responsibility as technologists to define business ethics more broadly than the affirmation of a negative: “not evil”? Is there a responsibility to do good? These are some challenging questions – questions that seem to cut across a lot of the topics discussed on this blog. 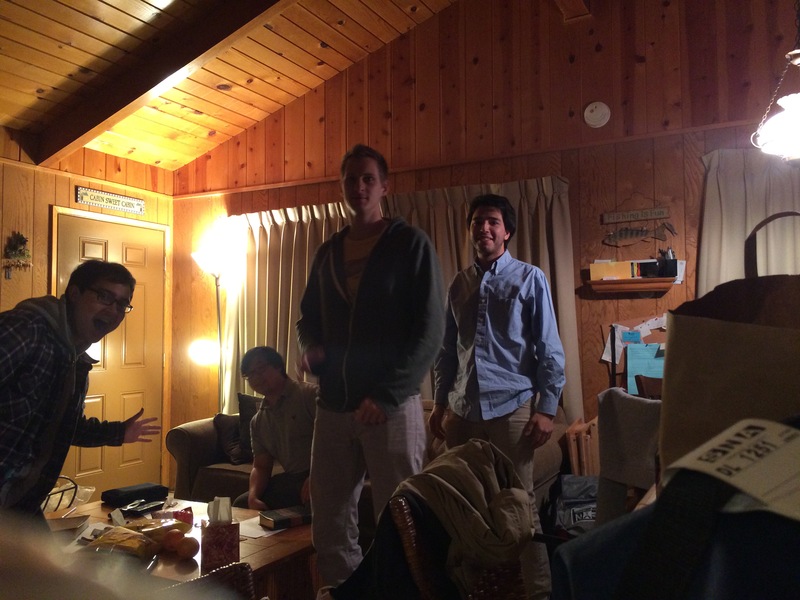 Last week, Daniel Song wrote a piece titled What Medicine Cannot Give. He points out that technology is fundamentally altering the way we do medicine, sometimes in ways that we haven’t really worked out. He’s asking essentially the same questions: what is the end purpose of technology? Is technological progress always good? What parts of technology are good? In contrast to Google’s “don’t be evil” is Apple, who have, implicitly, formed their own ethic (or rather, have inherited the legacy of an ethic shaped by Steve Job’s dominating presence). I highly recommend an essay by Andy Crouch which he wrote in 2011 about Steve Jobs and Apple – he addresses many of these same questions in the context of the rising phenomenon of the ubiquitous personal electronic device, and offers an extremely insightful look at the underlying ethics propelling many of the creative processes at Apple. Crouch makes the point that the Apple phenomenon has at its center a religious-like worship of technology as the Ultimate Answer (and perhaps Jobs as the medium by which the Ultimate Answer is revealed). That’s certainly a worldview! But if Google’s ethic of “don’t be evil” fails because it lacks a central, positively defined anchor, the Jobs ethic fails because it centers around the wrong thing. Technology cannot save this world: its solutions are dazzlingly efficient, but not effective; its successes are proclaimed overwhelming, but not everlasting; its uses impart power, but not the ability to wield that power for good. An ethic centered around technology misses the key catalyst to real progress in this world: changed human hearts. This is something that only Christ can deliver on. Christian technologists have a mandate that goes far beyond the moralized “don’t be evil.” We’re instructed to “avoid every kind of evil”, but we’re also told to “hold fast what is good” and even more importantly to “test everything” (1 Thessalonians) by continually evaluating whether good fruit has been, or will be, produced. As Christians, we have to find ways to ensure that technology remains secondary to the person, and that it does not take up the center of our belief system and crowd out Christ. The arc of history has made it clear that this won’t “just happen” on its own: it will take thought and the answering of difficult questions. It will mean admitting when technology is out of control and stepping on the brakes. And troublingly, it might mean turning away from or delaying promising technologies that go against what it means to be human, or what it means to thrive. I want to be crystal clear that a Christian ethic for technology does not mean the rejection of technology as an inherent evil. It does not mean setting the default view of technology as something to be suspicious of. And it does not mean some sort of acceptance of neo-luddite thought. Instead, it is a call for discernment. As much as the ancient world yearned for the philosopher kings, in this new millennium we need philosopher builders who, in their role as technology-creators, are anchored in a Christ-centered worldview and willing to take upon themselves the task of asking and answering these difficult questions. There is great opportunity for both justice and injustice in technology, and the line separating the two is razor thin. The same technology that’s designed to hunt down terrorists can be used to hunt down “terrorists.” Clever code and specialized hardware that is designed to unscramble an opposing military’s secret plans – used to great effect against the Nazis during WWII – could just as easily be mutated into monitoring devices listening in on the encrypted communications of one’s own citizens. The Unspeakables have hope, and we have hope, because God promises to bring justice. I think I’m also beginning to see how I may have the privilege of working, via my career in computer security, to extend God’s good and right justice to help the Unspeakables of our time. You see, part of the problem “Out There” in the security industry (not targeting anyone in particular) is that once you’ve invented a great piece of security software, your job is to sell it. So you can start adding a little mac and cheese to your ramen-only diet. Are you going to sell it to whoever will buy it? No! Of course not, we have morals, duh! What if it’s a nation state? What if they’ll buy it for $20,000? $2 million? $20 million a year? Oh. And of course it’ll only be used to track down criminals who deserve to be punished. Ohh, ok, seems reasonable after all. Actually looking up their human rights record is a PitA when $10 mil is on the line, isn’t it? So that’s one of the great struggles in this field. As a computer security guy, will I chose to help those who are oppressed to find freedom and regain the ability to communicate as they will, or will I help the deep-pocketed evildoers? Will I care enough to ponder the potential repercussions and alternate uses of technology I create and who might get their hands on it? Will I even remember the oppressed? That is my mission and my goal. But I’m not here to wax anthropomorphic about a machine (though I have to admit it’s kind of fun). If you want that, you can go watch Bicentennial Man (1999). I’m here to figure out how my career as a computer security guy and my beliefs as a Christian can coexist in a broken world that’s awaiting Christ’s return. You see, I’m worried that if I don’t set aside time to think about these things now, I’ll slowly forget that there should be coexistence. I’ll begin to neatly separate the two halves of my life. I’ll start making immoral choices about how I do my job. Or perhaps I’ll simply end up selling out. No bueno. So let’s get started. I mentioned above that I’m a control freak, and that this is a common reality for most hackers (clarification: by hacker, I mean the not-evil definition of the word. A hacker is “someone who builds novel or well-designed things”). Steven Levy, in his book Hackers: Heroes of the Computer Revolution (1984), which chronicles the first developments of the hacker culture at MIT, to the early stages of Jobs’ Apple, to the first few gaming companies, constantly refers to this drive for greater and greater control: “Once you had control, the godlike power that comes from programming mastery, you did not want to let go of it.” The book is filled with stories of the men and women who fell captive to its spell. Some hackers used programming as a way to avoid an otherwise awkward social world with perplexing rules that seem to be ever changing and irrational. Others believed that computers would be the ultimate equalizer, marking the end of government and oppression. But at the heart of it all was the understanding that these machines contained untapped power that was available to anyone who was willing to learn how to use them. There’s a special connection between the desire for control and technology – and I think everyone can relate to this. We like stepping on the gas pedal. We like buying things with two-day shipping on Amazon. It’s unreasonably fun to say “Siri, call home.” Technology offers the promise of control, and for the most part, we take the bait without a pause. Hackers merely experience this promise in its pure, unadulterated form: while you sorry folks muddle with your iPhone 5s and all the genie-like limitations that come with it, we can literally make a computer do anything. We have access to the Special Knowledge, and that knowledge is addicting in the extreme – control freak indeed. As is usually the case, what happens at work doesn’t stay there – my tendency to want control over technology bleeds through to other parts of life. I live most of my life as a control freak. I hate owing people anything, because it gives them some sort of power over me. I freak out when I have health issues. I avoid asking for God’s will to be done till the last possible moment because I want to solve things myself.